15 Billion Bq of Tritium flows from Fukushima plant area to the sea every single day. Tepco reported it in the handout submitted to Fukushima fishery cooperative on 8/25/2014. In the press conference of the same day, Tepco announced it was 1 Billion Bq, which is 1/15 times much as the actual amount. 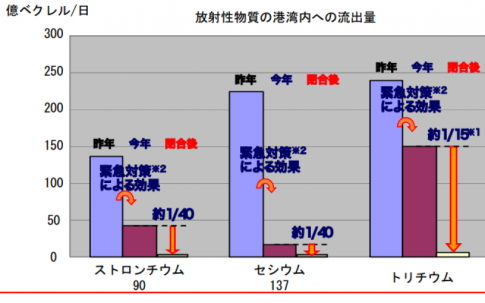 Radioactive Tritium In Fukushima Seawater Is Skyrocketing: TEPCO Detects 2,300,000 Bq/m3!!! Wikipedia: Gordon Edwards was born in Canada in 1940, and graduated from the University of Toronto in 1961 with a gold medal in Mathematics and Physics and a Woodrow Wilson Fellowship. In 1972, he obtained a Ph.D. in Mathematics from Queen’s University. […] Edwards has worked widely as a consultant on nuclear issues and has been qualified as a nuclear expert by courts in Canada and elsewhere. Helen should really educate herself about global warming and about the elitists who really run our governments, MSM and the corporations. Other than that THANK YOU so much Dr. Helen Caldicott!!! Dr. Helen Caldicott: If Spent Fuel Pool No. 4 collapses I am evacuating my family from Boston. Few people know that the Pacific Northwest got whacked hard by fallout from the Fukushima disaster with radiation rates hundreds of thousands of times higher than normal background radiation. The damage from this is not something that the corporate media or the government is talking about. It mysteriously disappeared from the radar almost immediately. Dr. Caldicott referred to this as a process of “cover-up and psychic numbing.” Looks like it may be working. The Nuclear Regulatory Commission just approved two new nuclear power plants this week (4/2/12) in South Carolina in addition to the two approved earlier this year in Georgia. Dr. Caldicott talks about the dangers and hidden costs of nuclear power then tells the awful truth in minute detail about the actual scale of the Fukushima disaster and compares it to the nuclear disasters of Chernobyl and Three Mile Island. Recent studies estimated that a million people have died so far from Chernobyl. Dr. Helen Caldicott is a physician, Nobel Peace Prize winner, noted author, anti-nuclear power advocate and has founded numerous national and international groups which oppose nuclear power & weapons, including Physicians for Social Responsibility. Apparently, TEPCO at Fuku-I plant is getting ready to shoot the video of water collection for the officer, according to the tweet from a plant worker. The worker is a bit cross with this performance by the politician and TEPCO’s willingness to accommodate him. 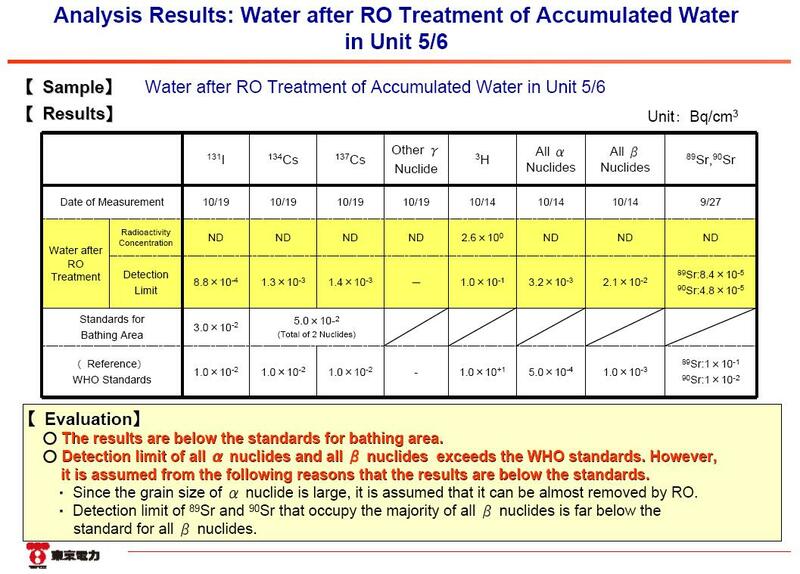 How does the government determine an unknown amount of radioactive water to be safe??? There is no such thing as safe levels of radiation. The Nuclear Regulatory Commission is investigating a radioactive release into the Mississippi River from the Grand Gulf Nuclear Plant in Port Gibson. A spokesperson from Grand Gulf tells News Channel 12 that they found standing water in an abandoned unit. In an effort to remove the standing water, Entergy began pumping the water out and into a drain that emptyed into the Mississippi River. A censor went off detecting the chemical “tritium” in the standing water. NRC officials say the River has diluted the radioactive material and is not causing harm to the people. Right now the incident is under investigation by the NRC. Entergy officials tell News Channel 12 they are not sure of the source of the tritium. There’s no word on how much Tritum was pumped into the river. PORT GIBSON — An unknown amount of radioactive water was released accidentally into the Mississippi River late last week at the Grand Gulf Nuclear Station. The Nuclear Regulatory Commission is investigating the incident, but suggests the release poses no public health hazard.